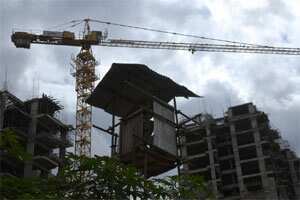 Residential property remains the focal point of Indian real estate, regardless of market conditions. Considering the massive demand for homes in the country, this is hardly surprising. However, demand does not equal absorption in a price-sensitive country such as India, where the greatest requirement for residential properties stems from the economically weaker section and the middle-income group. The high dependence on home loans by the salaried class underscores the price sensitivity factor further. The reasons for this slowdown are not hard to guess—inflation led to decreased purchasing power and financial confidence, while interest rates went through the ceiling. This obviously led to a steep rise in equated monthly instalments (EMIs) that home loan borrowers had to bear. Property prices remained inflexibly high in most cities, largely because developers were hit hard by increased costs of construction and debt. At the same time, the potential for most salaried people in the country to switch to more lucrative jobs took a nosedive because of the fallout of the US-euro zone economic crisis. In the early part of 2012, sentiments on the residential market will be cautious. Inventory has piled up because of slow sales and the combined effect of reduced affordability, increased mortgage rates and decreased investor interest on account of lack of assurance on profitability. The ratio of sales over inventory will stay low and we will not see too many new launches. Sales will remain muted, which means that there is little scope for market-level capital appreciation in most cities. That said, certain suburban pockets that are seeing real-time infrastructure enhancements will see marginal price rise. Also, because of the high demand for ready-to-move properties in all major cities, there will be price increases in projects that are being delivered or are close to completion. The mid-end and affordable housing segments will record healthy appreciation in capital values in the short term. There will be no correction in pricing on finished projects with ready-to-occupy units in the mid-income segment. But newly launched and under-construction projects are already being marketed at rationalized prices, which technically amounts to a price correction in those cases. These corrections are more likely in large township projects. If a buyer looking for a residence for self-use finds a suitable project within his budget, this is the best time to buy because developers are under pressure and will negotiate.